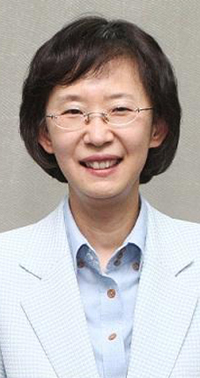 President Ko Kyung-Hwa of Korea Health Industry Development Institute (KHIDI) started a special medical tourism course for the nation's experts,"The First Global Healthcare CEO Course," held at Palace Hotel in Seoul's Gangnam area on August 28, 2012. The course is directed at promoting the nation's medical tourism industry through a special medical course for 21 selected CEOs and directors of the nation's key medical institutions including hospitals. In the opening ceremony held at the hotel on that day, Chairman Oh Jae-Sae of National Assembly's Health and Welfare Committee delivered a speech to emphasize the importance of the course. The third-term lawmaker belongs to the main opposition Democratic Unity Party. The course programs include "The Needs and Prospects for International Cooperation in Medical Tourism Industry," Trends of Global Healthcare," Strategy for Overseas Medical Market," "Success Cases of Medical Tourism," and "Medical Tourism Policy of Overseas Institutions." "Hopefully, this special course will serve as an occasion to seek out ways for nation's medical institutions to advance into the world as well as to share important information on medical tourism," Chairman Oh said in his speech. KHIDI President Ko revealed the reasons for introducing this course in her speech. "Global healthcare is the nation's growth industry to take care of our business," President Ko said. "Our institute is leading the nation's global healthcare industry by sharing related information with the nation's medical tourism industry"
Meanwhile, the course runs every Tuesday at the hotel between August 28 and November 13, 2012. Korea Health Industry Development Institute (KHIDI) is a public organization that consists of a group of experts dealing with various programs on promoting and developing health industry in South Korea. For details or inquiries contact KHIDI at 043-713-8333 or 043-713-8494.